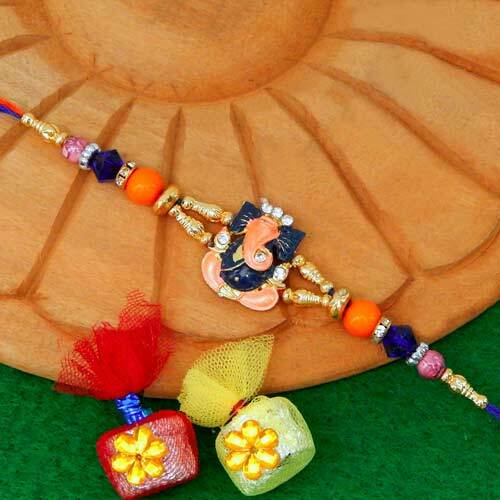 For the best of your brother and for his future to be all enthralling send this beautiful Ganeshji Maharaj Rakhi which will bless your brother in all the way. 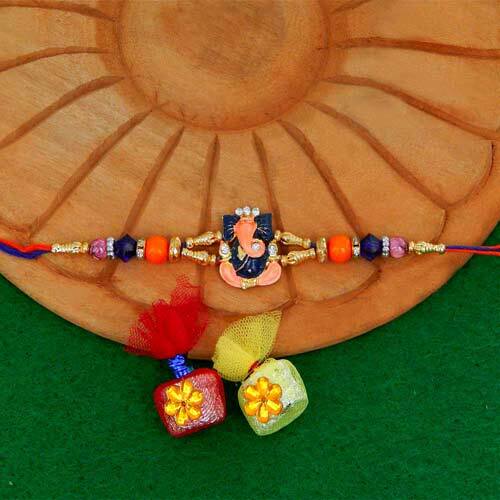 This rakhi is esconded with a metal based Ganeshji at the centre with crystals ingrained on it. The threads at both the end is entrenched with glass beads, metal beads, bugles..